2006 - 'Islanded: Contemporary Art from New Zealand, Singapore and Taiwan'. Adam Art Gallery, Wellington, I.C.A. Singapore. Curated by Sophie McIntyre. 2005 - 'Breathing Space'. Physics Room, Christchurch. Curated by Danae Mossman. 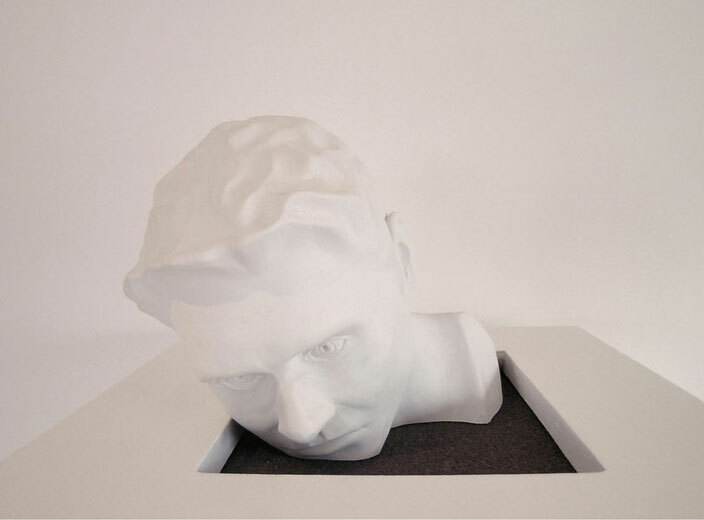 Take-aways is a self portrait plaster bust which sits on a white plinth. 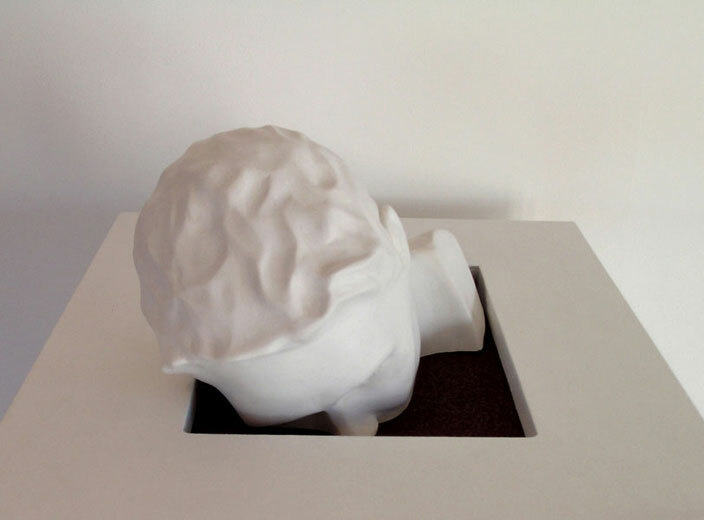 The plinth houses a very slow grinding belt machine which rasps away at the underside of the bust. 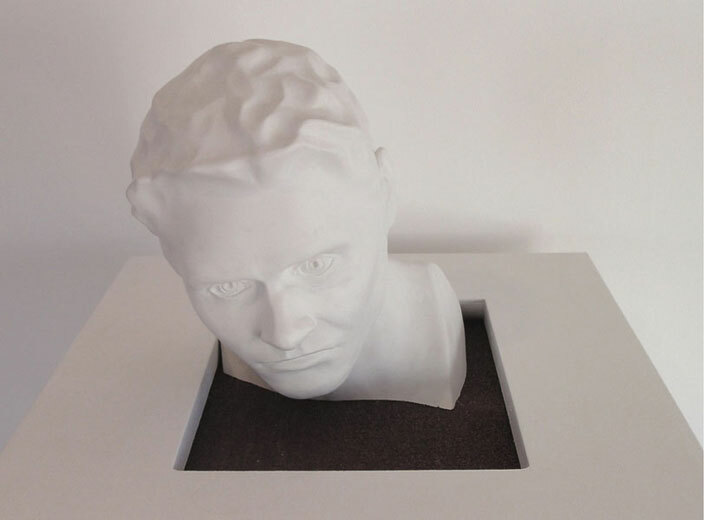 A bust will typically take one week to be ground down, whereupon it was replaced with a fresh bust. 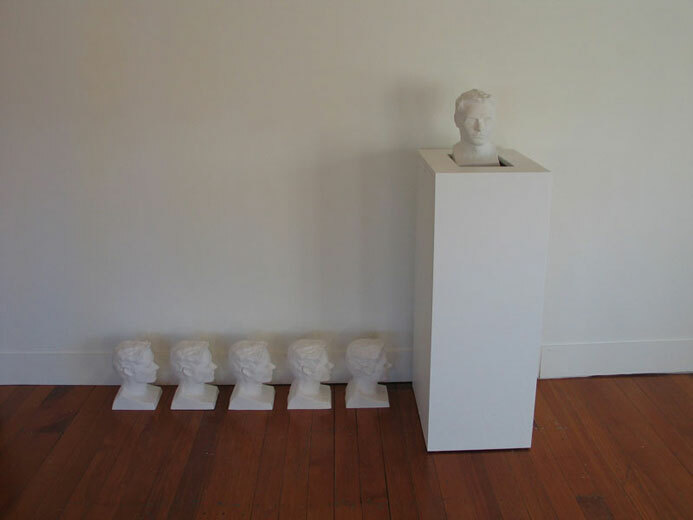 The number of busts exhibited relates to the duration, in weeks, of the show. 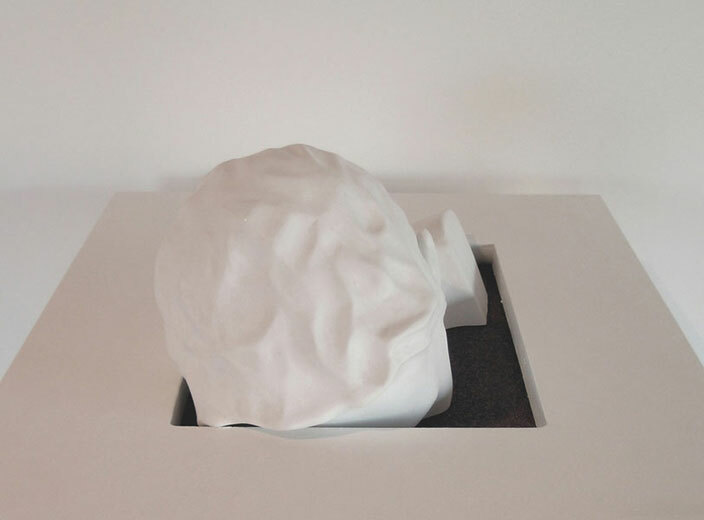 The work is now in the James Wallace Collection.